What I really want to write about are the practical implications of a new theory of human intelligences, but this will have to wait. The problem is that emerging knowledge about the workings of our cerebral cortex has not yet been widely shared. It hasn’t caught the attention of the popular press. Whenever I start to make some connection between an experience and how it relates to how our brain functions, I have to backtrack and offer an explanation of the new theory. Whatever point I was trying to make gets lost and my friends grow impatient. What’s needed are brief summaries explaining aspects of how intelligence works. The summaries need to be clear enough to spark interest and promote more understanding. I know I am hungry for this kind of knowledge. Understanding the brain is truly the last frontier of science. Our mind, with its trillions of neural connections, is the deepest mystery in the universe. Everything we know of the world outside ourselves is contained in this single organ. The research that I will try to summarize here relates only to human intelligence and not to other functions of the brain. It doesn’t specifically relate to the mysteries of self-awareness or personality. And yet, understanding the workings of this thin, convoluted layer of cerebral cortex covering our more primitive brain is essential to solving the bigger mysteries of who we are. So, how does our intelligent brain work? There are some good and important books on the subject. The one I rely on here is called “On Intelligence”, by Jeff Hawking’s and Sandra Blakeslee. It is lay account of a theory on intelligence, but beware, some of its chapters are a bit technical. Here is just one aspect of how the cerebral cortex works that I found interesting. Our intelligent brain is constantly detecting and anticipating patterns. The cortex is a pattern maker. It organizes sensory and worldly experience into patterns at every level of detail from the smallest sensory inputs to the biggest concepts of how the world works. It integrates these patterns into ever larger concepts or images until, at the highest levels, our brain creates an enduring image of the world around us. This image of the world, while enduring, is also malleable and responsive to new insights and information. Importantly, our intelligent brain is constantly predicting what to expect next from our sensory field. Our brain anticipates everything that we see, feel, hear, taste or smell. It expects that similar circumstances will produce the same or similar sensory experiences. The strength of these expectations grows stronger the more they are reinforced by past experiences. Our brains also have a higher expectation of seeing certain patterns when these patterns are well integrated into the bigger picture of the world created in our brains. So strong are these patterns that even when we only see portions of them our brain recognizes the whole. For example, if we only see the eye and nose of a friend in a picture we recognize that person as our friend. If we see three dots on a page we might recognize that they form a triangle without seeing any lines between the dots. Seeing part of an image is enough for our brains to know what the whole pattern or image looks like. What’s remarkable about brain pattern recognition is that most of it happens at the subconscious level. Here is a little experiment to demonstrate what I mean. Place your hand on a wooden door near you and then grabbed the doorknob. Nothing about this experience surprises you, right? It’s just an everyday experience. And until I mention that the metal doorknob feels cooler than the door, you may not have noticed. That’s because your brain expected that pattern. Your brain knows metal feels cooler than wood every time you touch them in a room. You might even know the scientific reason for this is that wood and metal have different rates of conduction. Your brain expected these to items to feel different, so there was no need to alert your conscious brain. 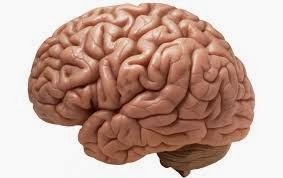 If the doorknob had felt warmer or soft your brain would have alerted your conscious mind immediately. During every waking moment our senses are continuously bombarded with stimuli. What we see, or hear is constantly changing and billions of impulses reach our brain every instant. If our intelligent brain had to analyze every electro-chemical pulse it would be overwhelmed with data. Instead, our brain only has to recognize challenges to the familiar patterns stored within our cortex. Computers, on the other hand, have to process every byte of informational every time it is presented or else it freeze. At every scale of human experience, our brain expects certain patterns to emerge from our sensory field. 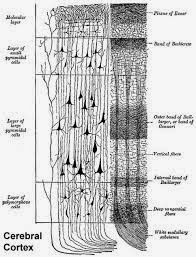 To accomplish this our cortex is made up of seven distinct layers on a horizontal axis and billions of distinct, hierarchical columns on the vertical axis. Additionally, each vertical column is connected to other vertical columns by a neural network, and information super highway system. The seven levels of each neural column is also connected to each other by neural pathways. This makes our cortex massively interconnected. The first, or bottom layer of cortex only recognizes the electro-chemical patterns that come directly from the sense organs. The complexity of recognizable patterns grows with each ascending layer of cortex. For example, on the lowest level of the visual cortex area only specific geometric patterns will be recognized by particular columns. Combining this low level information from many nearby columns might cause the next level of cortex to recognize that these lower level patterns represent a human nose. At a subsequently higher layer of cortex the patterns represented by that nose and maybe an eye or other facial features recognized by still other columns might confirm that these patterns belong to the face of a friend. And so it goes until at the highest cortical levels our brain creates an enduring mental representation of the person we are visiting with, the room in which we are standing and all of the surroundings around us. Another feature of our cerebral cortex is that it has more neural feedback connections then uptake, or feedforward connections. That means there are more neural connections from higher layers of the cortex to the lower layers of the cortex. This structure enables the higher levels of the cortex to tell lower levels what patterns they should expect to emerge from the sensory field. When columns in the lower cortex see an anticipated patterns, they signal back that they are satisfied. But when the lower levels of the cortex see something unexpected, they pass this additional information up the line to the next higher level. If that level of the cortex can’t resolve the pattern conflict, it passes these signals on to the next higher level, and so on, until some higher level of the cortex can make sense of the information. Most of these pattern conflicts are resolved subconsciously, but occasionally they pop into our highest executive level, which is our conscious mind. Our attention will suddenly focus on this unexpected thing that has disrupted our stream of conscious thoughts. As we move through the day our brain alerts our conscious self to only those things which need our attention. For example, we might slip on an old pair of shoes and walk around without thinking much about how they feel, but if a pebble suddenly gets caught in our shoe we become aware of the new sensation. (“Excuse me, self, but a pebble may have entered your shoe.”) If we put on a new pair of shoes we notice how differently they feel until we get use to them. If they don’t fit correctly we are annoyingly aware of them until we take them off. But for the most part we are not conscious of the millions of patterns, large or small, that our intelligent brain processes every day. Most of our intelligence activity is at work in our subconscious mind. This ability to expect and process normal pattern activity without having to attend to everything we see or hear allows our brain to focus attention on the rapidly changing information that is most important to our survival. It allows us to listen and process what someone is saying while ignoring a passing car. It allows us to assess traffic movements at an intersection without being distracted by the radio. This is important because our capacity for consciousness is a limited resource. Our intelligent brain must conserve this executive function and use it for only the most salient and important aspects of our sensory field. But we are also able to focus attention on patterns of thought or behavior that are not otherwise calling for our conscious attention. We can introspectively direct our focus to examine the patterns and associations stored in our cortex. We are not a passive audience to our senses. We have a conscious mind with which we can look inwardly to examine our intelligent brain. We can learn things about how the real world is structured from the patterns created in our cortex. We can also rearrange or re-associate these patterns when we find errors in the way they have formed (cognitive therapy being one dramatic example). We can perceive gaps in our knowledge of things and direct our own behavior to gather more information. Our brain forms patterns from sensory input whether we are aware of it or not. This leads me to one of the major implications that I would like to discuss further in a future post. Our intelligent brain is forming patterns and associations based on what we may be seeing or hearing even when we aren’t paying conscious attention. We know that repetition strengthens patterns and associations. Advertisers and marketers know this as well. They choose words and images to invoke associations most favorable to their purposes and use repetition to reinforce and strengthen those associations within our cerebral cortex. 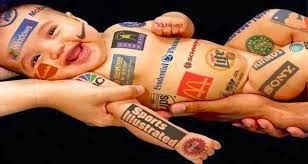 The marketing of ideas and products is effective even when we aren’t paying conscious attention to the ads. Think about that the next time you are wandering around a supermarket. Think about it in connection with our political campaigns and the public dialogue we watch on TV or listen to on the radio. 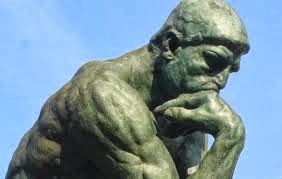 When we commonly think about intelligence we usually limit our discussion to our conscious problem solving ability. 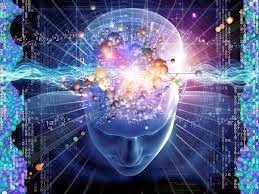 We usually don’t consider that most of our brains intelligent activity happens at the subconscious level. We are not aware of the extent to which false patterns of information can subconsciously form to subsequently influence our conscious choices and opinions. In a future posting I hope to expand on this topic. I believe we can inoculate ourselves against propaganda and false advertising, but only if we have a better understanding of how our intelligent brain operates.